Want to make your moving simpler? Follow the simple steps given below and you won’t go wrong ever. Systematize and categorise: Planning is your first and the most vital step. Without it your moving is incomplete and of course disorganised. Relocating to a new and different place involves several different aspects of your life that will be going through a drastic change. You don’t want to find yourself in a new place and without your basic essentials. Thus, set a minimum of one month aside to create an organised moving plan. This could include a to-do-list, your budget, etc. Enquire moving rates and choose accordingly: Don’t take hurried decisions. Finding the right moving company should be your primary task rather than settling for a company that is giving the services for cheap. Therefore, ask a few companies for their rates and ask them to come to your home and do so. Things done over the phone will not give you effective results. Compare the costs, see how their name is in the market, get some reviews done online and then base your final decision. Use the right packaging material: In the entire moving out process, it is packing that is the most time-consuming and tiring. As a result, make sure you start packing as soon as you know you have to be moving out. 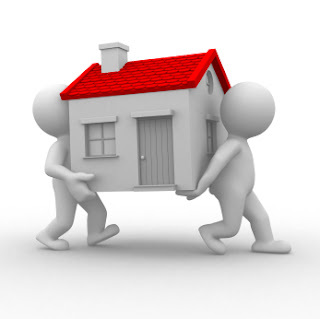 Most of the relocation companies will help you with the same. Ensure that you have a lot of boxes in different sizes, bubble wraps, corrugated containers, etc. It will help you save a lot of your precious time and energy. So, let the professionals take care of your belongings while you look after other important things. Moving requires physical effort – arrangement and packing – as well as mental effort – appointing the right movers and packers, and saying goodbye to the old place and people to start afresh. Take it in your stride and give your best. Good luck!